If this is an issue you are interested in or want to find out more on, then this book is a must. If you are interested in theology and want to know what it means when we say in the Creed "He became man" or when we read in the Gospel "the Word became flesh", then this book is highly recommended to have a complete understanding. 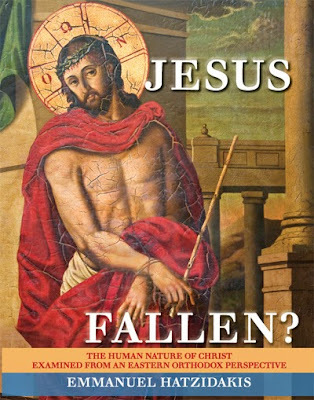 If you are looking to know more about who Christ is and how Christ is related to our salvation, I could not recommend a more invaluable book. And if you are a seminarian, a priest, a teacher, a theologian, a professor, or just a general student of theology, then this book should unquestionably be a part of your library, after you have devoured its every page. This was my personal favorite Orthodox book released in 2013. Fr. Emmanuel is to be commended for providing us a text that puts the final nail in the coffin of another dead heresy.